Dear reader thank you for stopping by deliciouslygabi.com. 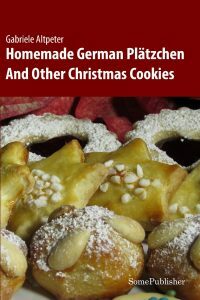 Please make yourself comfortable, maybe with a cup of coffee or tea, enjoy it here, and discover my recipes. My name is Gabriele Altpeter, but I prefer to be called Gabi. 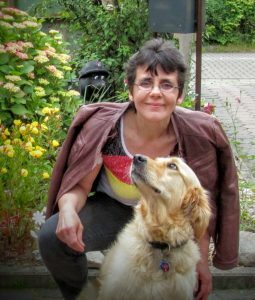 I’m married and I live with my husband and my two sons in Braunschweig, which is in Germany. As you can see on the photo we have a dog. She is called Whoopie and she is of course part of our family, too. We are all very fond of her. After I have passed my A level, which is in Germany the demanded qualification for university entrance, I studied lectureship and finally graduated at the Carolo Wilhelmina University in my hometown Braunschweig. I’m no professional cook and I did not have any professional training on baking either, but I learned my first steps about cooking and baking from my mother. I learned from her how important it is to prepare meals, cookies, cakes, or desserts with fresh and healthy ingredients. Later I read a lot about it and whenever I was unsure why a certain recipe did not work the way I cooked or baked it I tried to find out the reasons and over the years I gained a lot of experience that I like to share with you. Amongst cooking I’m interested in reading and in sports (running, badminton, and table tennis just to mention some). I also love to listen to good music. 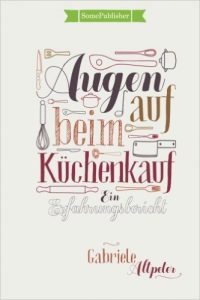 When I started to publish my first recipes on my German food blog in 2013, it would never have occurred to me that I would publish a book one day, but in December 2014 I did. If you have got any questions or suggestions, please feel free to contact me.